Return on Marketing Investment: DemandMore From Your Marketing and Sales Investments provides business-to-business marketers a few simple concepts to measure and improve their marketing performance. The methods included improve internal communications with the C-suite that want to see the numbers as well as the creative. 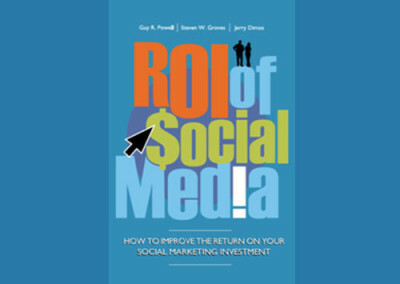 Marketing ROI is critical to any organization, especially business to business and smaller consumer companies. Without a significant return on marketing investment, the sales organization will not operate effectively, the company won’t meet its’ objectives. Is marketing responsible for delivering brand awareness, flashy graphics and great marketing programs? Or is it responsible to deliver leads and shorten the sales cycle to generate revenue at a cost and risk in line with other investments that a company might make? Return on Marketing Investment will help business to business and small consumer marketers at all levels prepare for that question. It will help the rest of the executive team understand how to look at marketing expenditures in a whole new light. 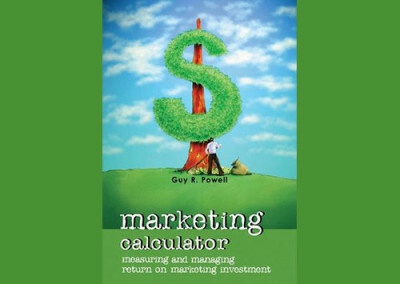 Return on Marketing Investment is a tool for any business to business or small consumer marketing professional or senior executive looking to improve their ability to produce real results in revenue growth. 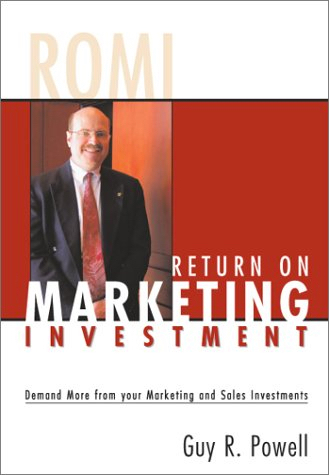 It has numerous practical examples to speed the implementation of ROMI in your organization. 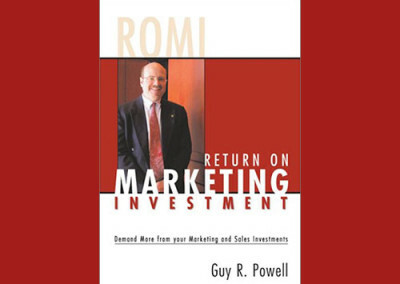 Mr. Powell has been implementing sales and marketing solutions helping clients improve revenue growth for over 20 years. Return on Marketing Investment is the culmination of those years working both on the client and on the consultant side. Mr. Powell is a graduate of the University of Chicago Graduate School of Business MBA program. This book is targeted toward business to business and small consumer marketers, but his experience spans all sizes of companies both in the US and abroad, both consumer and business to business. 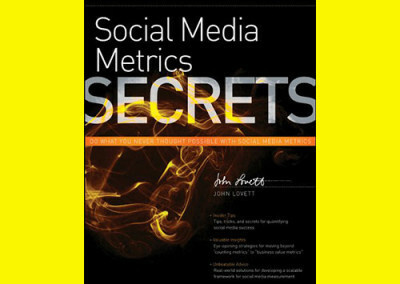 Here’s a book that can help the marketing team for companies of all sizes. Get the latest information on our marketing ROI workshop offerings.